Martin has put more than 900 individual pieces of abalone into the bindings and inlays of the top, sides, back, and rosette of the D-46 Dreadnought Acoutic Guitar. Large 'C.F. Martin' abalone letters adorn the headstock; abalone hexagon inlays are used as position markers on the bound ebony fingerboard. Solid spruce top and traditional Martin bracing pattern generate fantastic tone from this beautiful guitar. Features rich solid rosewood sides and 2-piece back. Limited lifetime warranty. 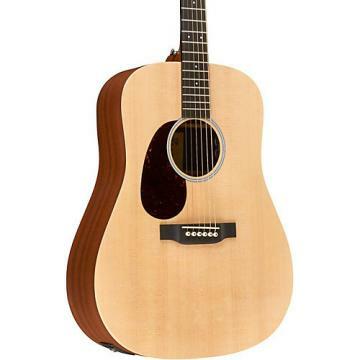 The D-45 Dreadnought includes a deluxe Martin hardshell case ($190 value). Well, how do I make this clear. First of all, an acoustic guitar is really just a mirror made out of wood;l in other words, whatever you can do, IT will do. I've been playing almost 30 years and can tell you that learning to play steel-string is an EVOLUTION. An evolution of your taste, your ability, but also it's a continued undestanding of what makes a guitar sing: Voicings and strings. Without all these things you cannot evolve. What a martin brings to the table (ESP the D-45) is the vehicle to make these expressions in my opoinion. For example, I play the same thing on 2 guitars and one of them is a D-45 -- THAT is where we should begin the review, a comparison to a baseline variable. I've owned both old klunkers and nice steel string guitars. But it wasn't until late '07 that I had the dough to lay down on a Marty. I went with a D-42 for econ reasons (about 3400.00 at that time). She was a beut' ... However, a few years later I went into the shop and test drove a new D-4 and let me tell you there was just NO comparison there.... NONE. The D-45, when put together correctly and set to go is about as close to driving a Ferarri Enzo as a working-class guitarist can ever get. She was so fast, and so bright, big, and loud it was jaw-dropping -- not only for me, but for several others in the sound room, no kindding. I decided right then and there I would lay down the money to get her. And only this particular one, too. Each one is different. YOU MUST SHOP and COMPARE. This is the nicest guitar I've ever played in my life..... Endless enjoyment is hard to put a price on. 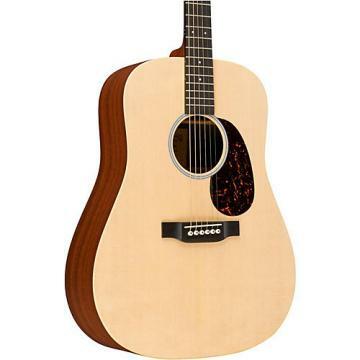 .Take a Martin D-41 and add about $3,000 dollars to the price... and you have a D-41 with more abalone which is now transformed into a D-45.Save your money - buy the D-41. You won't be able to tell the difference in a blindfold test between the 2 guitars. .I own a 1962 Martin D-45, yes it's 48 years old...and sounds much better today than it did when I first purchased in in 1975. With over 4 decades of playing many, many acoustics, my experience has taught me that hand-built acoustics by master luthiers is the way to go. But even though Martin is a production-line guitar, the D-45 is the standard by which all other acoustic guitars are measured. Some have said the D-45 sounds the same as a D-41 or D-42, just with more abalone. That is simply not true. One has to have an experienced, practiced ear, but the D-45 is different from the D-41 or D-42. Especially with vintage age, the sound is huge, the projection is unmatched and the sweet, sweet tone cannot be touched even by most hand-built guitars. I've played a few hand builds that sound better, but they cost over $20,000.00. 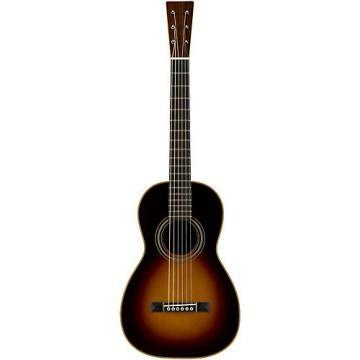 So the Martin D-45 is quite a steal at this price. Don't bother with D-45V vintage re-make. The plain D-45 is the same guitar without the vintage finish, and besides your new D-45 will develop that same vintage finish over time anyway, just be patient. If you buy this guitar, plan on owning it the rest of your life and passing it on to your children as an heirloom. .Sounds that make you situp and take notice!I play by ear,and this D-45 sounds better than my HD-28 my D-35 and my Taylor 910LT which is very pretty but not even close to the sound of my Martin D-45 I have owned it a long enough time to know, and it is still getting better!If you want a really unique sounding guitar, and can spend the money, I recomend the Martin D-45 as the way to go! .You recognise the sound as soon as you play it. Balance between the strings, oustanding solo or rhythm sound. Ease of playing. Always a joy to play and hear. What more can a guitar player want? .GREAT Guitar, I bought mine used, a 1991 model. There is a reason for the high price. The quality of material and workmanship are unmatched.I trade a LOT of guitars. 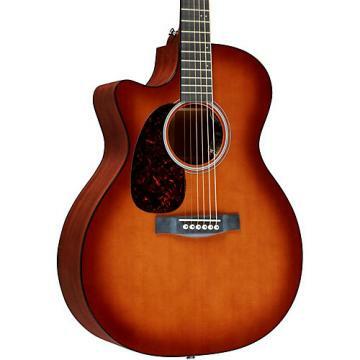 I have never seen any guitar to try to compare a Martin D45 with. Taylors, Gibsons, don't come close in my opinion.. LOVE this guitar. 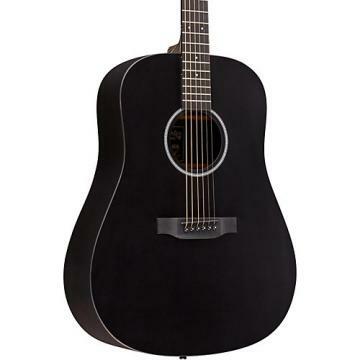 .The Martin D5 is the best guitar I've ever played hands down in 11 years of playing. I'm amazed at the quality and tone, and the feel of this dream instrument. Martin has a legendary history and the d45 exemlifies the best Martin has to offer. I satdown with this instrument a d played and the high tones were incredible. I want this guitar. Martin, you have my seal of approvel. .I own a taylor 914ce, and it is a great pro quality guitar. But this is something special. In my mind taylor has martin beat until you get past the martin d42. You sure do get what you pay for with this baby, with beautiful crisp highs and deep lows. Martins just get better sounding with time. .This is one of 3 Martins I own. And By far the one I play the most. Not only is it a pleasure to play and listen to, but also one beautiful looking piece of art!